The concept of a “safe country of origin” (SCO) first appeared in EU Directive 2005/85/EC1https://eur-lex.europa.eu/legal-content/en/ALL/?uri=CELEX:32005L0085 in 2005. According to the updated Council Directive 2013/32/EC,2https://eur-lex.europa.eu/legal-content/en/TXT/?uri=CELEX:32013L0032 a safe country of origin implies a country where legal and democratic procedures are in place and human rights violations, including those related to armed conflicts, are properly investigated and brought before an independent judicial body (Article 36 of the Directive). In migration law, receiving EU countries may use the concept of a “safe country of origin” as a basis for swift consideration and summary rejection of asylum applications from nationals of such countries, with some exceptions. An asylum application from a national of a designated SCO is examined within 15 days in Belgium (versus 6 months as a general rule), 30 days in the Czech Republic (versus 6 months as a general rule), and 48 hours in Norway. The United Kingdom can presume an asylum application from a country on the SCO list to be unfounded and reject it without consideration. There is an important legal distinction between a “safe country of origin” and a “safe third country.” The latter, in the meaning of Article 38 of Directive 2013/32/EC, are countries in which a person seeking international protection would be safe. Should a safe third country deny the applicant entry to its territory, the EU member state receiving the application must ensure its examination under the general procedure (Article 38, para 4 of the Directive). A safe country of origin is considered to have sufficient legal procedures in place to protect its own nationals, while a safe third country is expected to guarantee safety and proper legal protection to nationals of other countries. The two legal concepts – safe country of origin and safe third country – are interrelated and designed to simplify migration management and asylum procedures within the EU. Making lists of both types of countries lies within the exclusive competence of the EU member states. Most EU member states have integrated the concepts of SCO and safe third countries in their domestic law in one form or another. Italy, Portugal, Romania, Cyprus and Slovenia do not have such provisions in their domestic legislation. Sweden, Norway and Finland do not have official lists of safe countries de jure but use summary proceedings in regard of asylum applications from nationals of certain countries. A few member states, such as Estonia, have updated relevant laws but have not yet adopted SCO and safe third country lists. Ireland’s SCO list includes Albania, Serbia, Georgia, South Africa and all countries of the former Yugoslavia.5http://ipo.gov.ie/en/IPO/SI%20No%20121%20of%202018.pdf/Files/SI%20No%20121%20of%202018.pdf The UK designates countries as SCOs based on applicant gender: Ecuador, Gambia, Ghana, Kenya, Malawi, Mauritius and Liberia are considered SCOs for male applicants but unsafe for females within the meaning of the UK’s asylum law.6https://ec.europa.eu/home-affairs/sites/homeaffairs/files/what-we-do/policies/european-agenda-migration/background-information/docs/2_eu_safe_countries_of_origin_en.pdf Iceland considers Ukraine a SCO, except its eastern regions and Crimea.7https://utl.is/index.php/en/list-of-safe-countries Some EU member states make exceptions for certain types of asylum seekers from countries otherwise considered SCO, e.g. Norway makes an exception for albinos from Tanzania and the Netherlands for LGBT from Algeria and Morocco. Asylum applications lodged in EU member states by nationals of FSU countries peaked in 2016, with the highest registered number of asylum seekers from Armenia, Azerbaijan, Moldova and Tajikistan. Applications from Uzbekistan peaked in 2006-2008, from Russia in 2013, and from Ukraine in 2015. It is interesting to observe the geographical preferences of FSU asylum seekers in Europe. In 2017, applicants from the Caucasus countries of Georgia, Armenia and Azerbaijan sought asylum in the widest geographic range [only some of the target countries with the highest number of applications are listed below]. Specifically, 3459 Georgian nationals applied for asylum in Germany, 2102 in France, 1107 in Greece, 507 in the Netherlands, 454 in Austria and 289 in Iceland. Nationals of Azerbaijan sought asylum mainly in Germany (3408 applicants), France (472), Sweden (293), Austria (104) and the UK (70). Armenian nationals lodged 3850 applications in Germany, 2357 in France, 228 in Austria, 125 in Italy and 116 in Spain. Germany, Poland and Sweden registered the highest number of asylum applications from Central Asia in 2017. 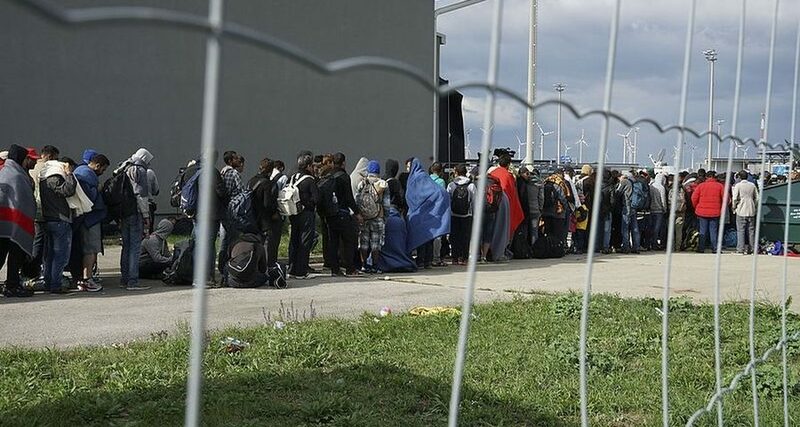 Nationals of Turkmenistan filed 121 applications in Germany, 7 in Sweden and 2 each in Poland and France; 284 nationals of Kazakhstan applied for asylum in Sweden, 203 in France and 140 in Germany; nationals of Kyrgyzstan lodged 186 asylum applications in Sweden, 122 in Germany and 34 in France; nationals of Uzbekistan filed 336 applications in Sweden, 60 in Germany, 29 in the UK and 18 in France. Just a quarter of a century after the relatively bloodless collapse of the Soviet Union, military and ethnic conflicts as well as economic and social turmoil in the newly independent states have raised the issue of whether the post-Soviet countries can be considered safe third countries and/or safe countries of origin. National legislators in EU member states have different perspectives on the matter. The Baltic countries of Latvia, Lithuania and Estonia are EU members and cannot seek asylum in other EU countries. Three other countries – Georgia, Moldova and Ukraine – have been granted visa-free entry in EU member states for 90/180 days, which de jure indicates trust in their democratic institutions and legal procedures but does not automatically designate them as SCOs for the purposes of EU asylum policies. The opposite is also true: nationals of FSU countries included in SCO lists still have the possibility of applying for asylum and international protection in EU member states although the prospects of such applications are much lower. In 2017, an increase in Georgian nationals seeking asylum in EU member states following visa liberalization triggered debates on whether Georgia could be considered a SCO. In Germany, the Bavarian branch of the Ministry of Internal Affairs has been lobbying for a bill to recognize Georgia,9http://police.ge/en/shinagan-saqmeta-ministris-moadgile-germaniis-mtavrobis-delegatsias-shekhvda/11485 alongside Ukraine, Moldova and Armenia,10https://www.stmi.bayern.de/med/aktuell/archiv/2016/16012ministerrat/ a safe country of origin. Eight other EU members states – Belgium, the Netherlands, France, Austria, Iceland, Luxembourg, Bulgaria and Norway – granted Georgia this status much earlier. Notable is the situation of Ukraine whose territorial integrity has been violated. Ukraine was recognized a SCO by the UK in 2014, the Netherlands in 2016, and Austria in 2018. Today, most EU member states, including Austria, Bulgaria, the UK, Luxembourg and others, consider the entire Ukrainian territory as a SCO, while some other member states, such as Iceland and the Netherlands, make an exception for Crimea and eastern parts of Ukraine by refusing to recognize their SCO status. It is noteworthy that EU member states’ approaches to Russia in terms of asylum policies have changed over time. Bulgaria, Denmark and, since early 2016, Norway consider Russia a safe country of origin. Serbia, while not a EU member, shares this approach: in 2009, it included Russia in its SCO list and has not changed it since. However, European countries make exceptions from the general rule of considering Russia a SCO for certain categories of asylum seekers, such as civic and political activists, LGBT and ethnic Chechens. Eight other FSU countries – Armenia, Azerbaijan, Belarus, Turkmenistan, Tajikistan, Uzbekistan, Kyrgyzstan and Kazakhstan – are not specifically mentioned in EU member states’ legislation due to a relatively small number of asylum applications from these countries. Source: data published by the EU migration authorities and member states.